Salada Bay Drake spent 40 days here and careened his ship. Chasoc and Medio Coves comprise the bay. Charts show Chasoc Cove to be somewhat foul but more protected. 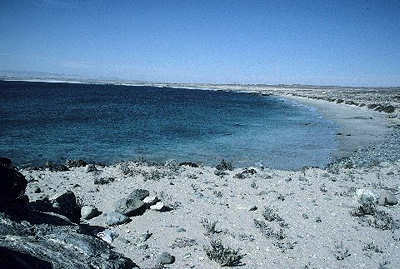 Field studies proved Medio Cove to be the careenage because Chasoc Cove is too rough and Medio Cove is totally sheltered by Chasoc Cove.